Not much connection with the main characters and a slow pacing, this sounds like a book I would struggle with. Such a shame! Bummer. I've been hearing similar reviews on this one and even my review was somewhat of the variety. It was definitely an overload of information at times and a slow pacing, but I adored Shannon's 13 to Life series so I had to read it. I am hoping that this was a case of a bad first book syndrome where the rest of the series will get better. Nice review though! This book sounds really interesting, especially now that I know it's set in the 1800! I'm sorry your enjoyment for this novel decreased as the story progressed. Lucky for me, I haven't read the synopsis yet so that may not be the same problem for me. The characters don't seem lovable though. I'll have to look for more reviews of this one, but thanks for the wonderful review, Juhina! It's a good thing that I haven't read the blurb then. I hate it when nothing happens in the book that wasn't already told in the blurb. That's why I stopped reading them. I'm sorry this happened to you as this book sounds really amazing. Thanks for the honest review! I'm not much into books about witches because I've yet to read one which I'll love but I love books that have multiple POVs because they tend to make the reading experience much more interesting if also a little bit confusing. But it's disappointing to know that the book couldn't hold your interest throughout. Darn, that summary. That's why I NEVER read summaries lol. I just look at the cover, find out what genre it is, and look at the overall rating on Goodreads and sometimes read maybe 1 or 2 reviews on it if I'm unsure whether to buy it. I haven't read any witchcraft books except The Crucible which was creepy but good. I'm not sure whether to check this out because of the main character.. we'll see. 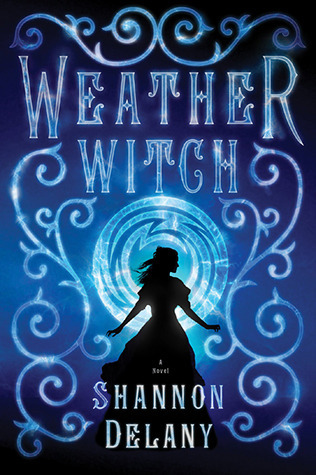 I love that witchcraft is out in the world. I think paranormal books like that are fun when the paranormal is out to everyone. Bummer that it moved so slow.